One of the goals to come out of the Jokosher BOF at LUGRadio Live last weekend was that Jokosher should be translated in to as many languages as possible. To this end I’ve now added GNU gettext support and have made a start on a German localisation (hopefully someone with better German knowledge than me can finish this off). 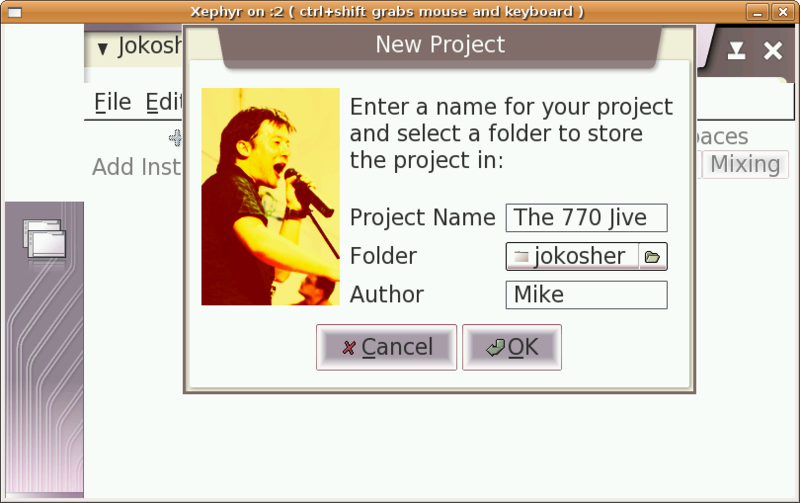 The first release of the Jokosher multi-track audio studio is now available, to find out more about Jokosher simply visit the ‘About‘ page. Jokosher has a really nice community of developers built up around it (though we’d always welcome more ;)), so now we’d love to see a similar community of users develop. The new site has a forum for just this purpose, so feel free to make extensive use of it for getting help on Jokosher, offering help, discussing techniques, suggesting new features and anything else you can think of vaguely related to Jokosher :). After many months of abandonment I’ve finally started working on SabreGL again. I’ve rewritten it to make use of the Irrlicht engine; this makes things a lot simpler from my point of view and a lot flashier from the user’s. Irrlicht supports a lot more model formats than I did with my own engine as well as having support for vertex and pixel shaders and is much more reliable under Windows. The main thing to do at the moment is sort out how Irrlicht’s event system will communicate with Python, then I’ll see about updating Myrmidia to take advantage of all these flashy new enhancements. * I’m only testing the Windows build in QEMU so no 3D acceleration is possible. With all the excitement streaming from Jono and Aq on the subject of things to do with the Nokia 770 that was kindly donated to the Jokosher project at GUADEC, I thought I’d have a play around with the Maemo SDK (Maemo is the platform upon which the Nokia 770 operates). It’s not really in a usable state, I had to strip out all the Cairo stuff due to me not having the python cairo bindings installed, but at least it roughly runs :). I’ve recently been writing code to handle multiple simultanious inputs in Jokosher. Part of this has involved editing Marlin’s channel splitting element slightly so that it works as a standalone GStreamer element separate from libmarlin. Unfortunately it looks like I’m going to have to try and slip my changes in a few days late (i.e. during the feature freeze), if no one has any objections. The work has taken substantially longer than I expected due to me finding that the Delta 44 doesn’t work with GStreamer, I’ve since filed a bug and created a rough patch for the problem. I’m still having one problem though, which is that I’m only receiving data on the mixed input channels from the Delta 44 and not on the individual ones. I’m not sure if this is a problem in alsasrc, in the channel splitter or in my use of either, but at least the Delta 44 is now usable as an input device in GStreamer (albeit not without the channel splitter, since hardly any elements support 12 channels). In related news Jokosher has been used to record a LUGRadio mini episode, which has also helped to find some new bugs. I’ve also recently purchased a Roland GR-20 guitar synthesizer, which has given me new drive to get Delta 44 input fully sorted in Jokosher. 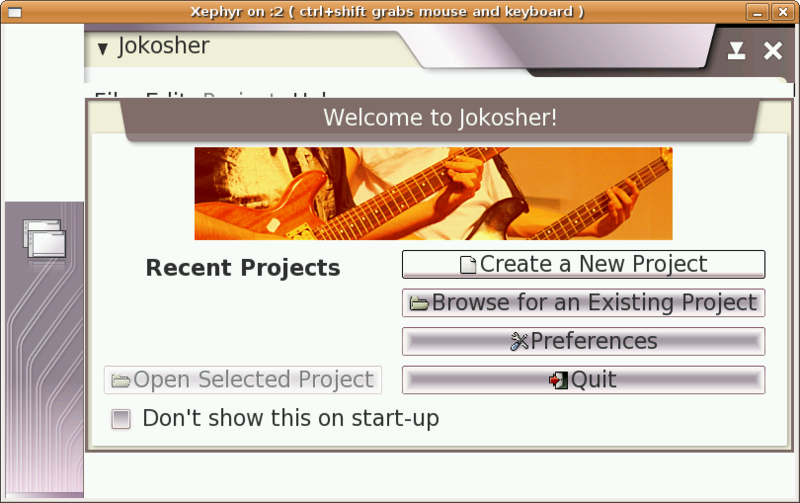 I have various odd musical ideas I’d like to record with it and Jokosher would be the perfect application to do so with.